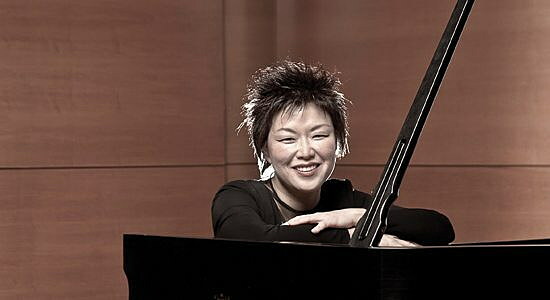 World-renowned pianist Katherine Chi will also be joining the orchestra. It was originally written by Russian composer Modest Mussorgsky as a 10-movement piece for piano. His inspiration was the artwork of his friend Viktor Hartmann, an influential artist who died of an aneurysm at the young age of 39, leaving behind a legacy of over 400 paintings. The music depicts an imaginary tour of this art collection. Butorac added that “The Gnome” – a painting of a little gnome running clumsily with crooked legs – is represented by lurching music with frequent stops and starts. “When you read the title of the movement and then hear it, it’s easy to visualize the inspiration,” he said. Maurice Ravel arranged the piece for a full orchestra a few years after Mussorgsky’s composition, and this arrangement is most commonly performed for orchestras, according to Butorac. The first half of the concert presents Ravel’s masterpiece concerto in G major for piano. World-renowned pianist Katherine Chi will also be joining the orchestra and will perform at the final show in the three-concert Cabaret Series at the Top Hat on April 29. According to MSO Executive Director John Driscoll, Chi is known for her intense and daring performances, marvelous expression and keen wit. MSO’s season finale concert, “Pictures of Power,” takes place on Saturday, April 23, at 7:30 p.m., and Sunday, April 24, at 3 p.m. in the Dennison Theatre on the University of Montana campus. Tickets are available online, by phone at 721-3194, or in person at the Symphony office at 320 East Main Street. For more information on the symphony, the Season Finale Concert or the Cabaret Concert, visit www.missoulasymphony.org.